The 5 Behaviors of a Cohesive Team are the building blocks to a successful team. Vice President for Wiley, Julie Straw, recently spoke at an event that gave insight to what a truly cohesive team looks like. She stated that each behavior builds on the previous one and must be addressed all together. Powered by Everything DiSC and All Types, the results will help participants gain an understanding of their own DiSC styles or MBTI Type. Understanding oneself and their peers will help teams to build trust, master conflict, achieve commitment, embrace accountability, and focus on results. 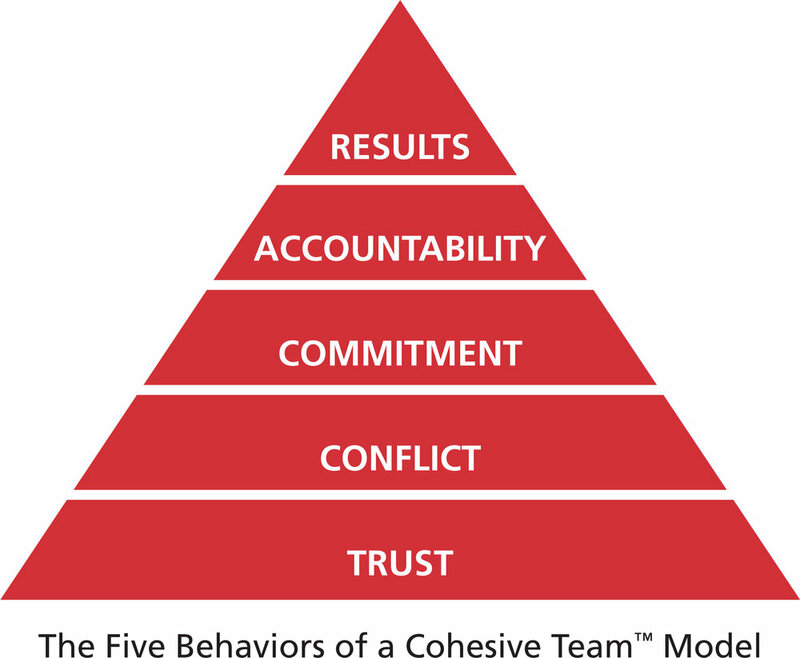 The Five Behaviors of a Cohesive Team trains teams to become high-performing based on the Five Behaviors Model: Trust, Conflict, Commitment, Accountability, and Results. Becoming a high-performing team will give your company the ultimate competitive advantage. The Five Behaviors of a Cohesive Team provides your team personalized information on how your team is performing compared to the Five Behaviors Model. Plus, the report will give your team a customized plan on how to improve your team overall performance. Is The Five Behaviors of a Cohesive Team worth the time commitment and financial investment? Hear the answer from your own peers, as they share their experiences with the program and explain how their specific team improved its overall effectiveness and performance. Looking to bring multiple teams through the Five Behaviors of a Cohesive Team program to improve overall company culture or for more general knowledge about the program? Consider the Five Behaviors Accreditation to gain the confidence to train the program effectively.